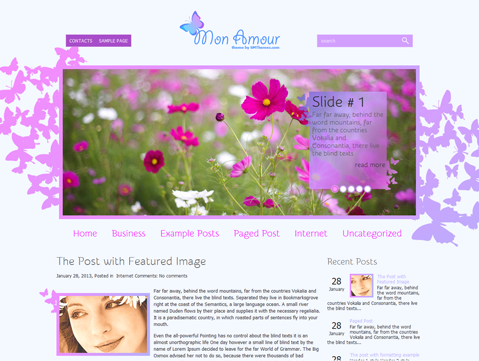 Spread your wings and give voice to your words and translate your ideas into a beautiful and easy to navigate WordPress website with the help of MonAmour. 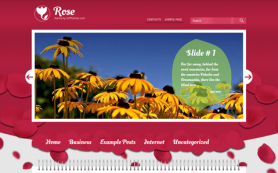 Designed primarily for women of the 21st Century, the free WordPress theme has two predominant colors – pink and white. 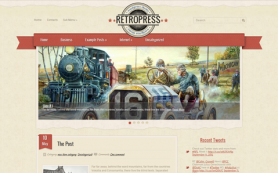 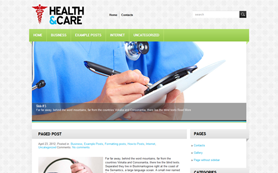 The mix of these colors adds a lot of youthfulness and freshness to the premium WordPress theme. 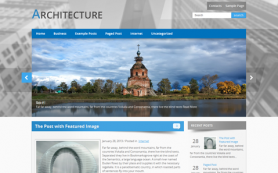 MonAmour is an easy way to make your site attractive and usable for your visitors. 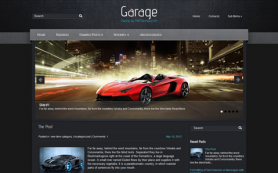 Download today to learn about its easy customizations to start your new website.